For years, farmers have understood the value of split-planting trials for testing and comparing hybrids and inputs within their specific field conditions. Digital farming tools have greatly enhanced the ease and benefits of this process, opening the door to field data that can be easily collected and analyzed to provide a clear picture of what’s working and what’s not. In fact, nearly half of all Climate FieldView™ subscribers conduct split-planting trials in their fields. Are split-planting trials something you should be doing, too? Here are five tips to help you succeed with split-planting trials this year. While split planting is a great resource for testing different hybrids or seed brands, there are more opportunities you can explore. For instance, choose two seeds of different relative maturity (RM) to gain insights into how RM affects either yield or grain moisture – but be careful to limit the RM differences to just a few days or you could end up with a big difference in grain moisture between the two hybrids, making it difficult to find a good harvest window. Also remember that RM ratings can differ from one seed brand to another. Beyond RM comparisons, you can test the same hybrid but with different trait packages and seed treatments, or by setting each side of your planter at different seeding densities to monitor and compare populations. 2. Be diligent with data entry. Gaining insights from split-planting trials begins by carefully and accurately entering the full product names for the seeds you want to compare into your FieldView™ account. At some point, you will want to review multiple years of data, and because not all hybrids contain trait information in the product number, entering the full hybrid name exactly as it appears on the seed tag eliminates the need for guesswork later. We are constantly improving the FieldView™ Cab app to make product entry easier, including drop-down lists of common seed product names. In addition, we have created the ability to enter additional treatment notes separately– such as indicating if different starter fertilizer or seed treatments are being tested – so this information doesn’t have to be tracked in the hybrid name field. Up to four hybrids can be chosen and assigned to rows in any given field. If you are using an original equipment manufacturer (OEM) monitor that does not have these features, it is worth taking a few minutes to ensure the seed information is entered correctly. Also critical to ensuring accurate trials is making sure you have the different seed products properly assigned to each side of the planter. This way, no matter how your planting data comes into FieldView, it will be accurate and properly aligned with your harvest data. 3. Split plant large areas. When it comes to split planting, bigger is better. The more acres you split plant, the more reliable your results will be. There is variability across your fields, and you want to avoid skewing results by placing the trial on a few acres that are not representative of much of your operation. At the same time, don’t let the fact that you might not have enough of each seed to split plant an entire field keep you from running a trial. 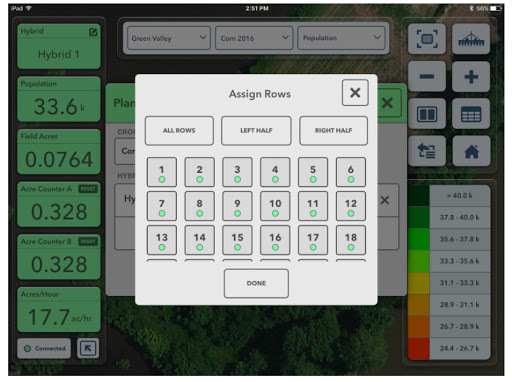 With FieldView™ field region reporting by pass tools, you can quickly and easily get results for just the area of your field where you conducted the split-planting trial. 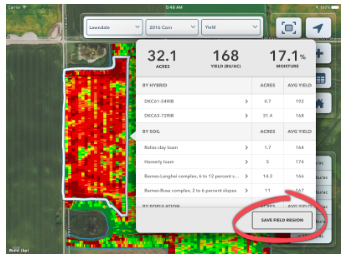 FieldView™ yield analysis tools make every field a test plot with field region analysis and reports. 4. Focus on fields with variability. Gone are the days when you needed to take data from a single seed plot placed on your best field to make your seed decisions. Consider running trials on multiple fields in your operation. The reality is that the best seed for your highest yielding field may likely not be the best seed for your lowest performing field. Similarly, you should consider testing some of your most trusted seed that has performed well in years past against multiple new products on a few different fields – this lets you gain a better sense of how new products compare to your best performers under a range of conditions. Keeping pace with new products on the market is important to make sure you are getting the most value from new genetics. 5. Analyze your data thoroughly. While split planting has become a reliable method for testing the performance of different seed products, too often farmers are still analyzing their data in the combine seat. Glancing at your yield monitor only periodically at harvest time can lead to inaccurate interpretations of data. For example, some farmers tend to watch their yield monitors more often in the highest yielding areas within a field, and the winning product in the best areas may not be the winner in the low-yielding areas. Take time to look through your data thoroughly, and use FieldView field region reporting tools to assess performance in areas where you might have different stressors, including across headlands, in heavy or poorly drained soils, or along roadways or forest edges. Many times, closer evaluation of your data can reshape how you interpret the results and help you make better seed decisions next year. Split-planting trials will provide you with data that will help you compare the performance of different hybrids, varying population rates, and understand the variability across your fields. Arming yourself with the best data specific to your operation can help you get the most from your seed investments each year. If you have any questions, contact your Climate dealer, the Climate Support Team at (888) 924-7475 or support@climate.com. *Based on data from over 10,000 split-planted corn fields of US Climate FieldView™ users during the 2017 growing season. 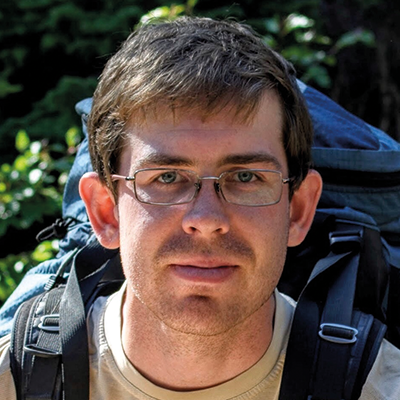 John serves as a senior data scientist at The Climate Corporation, focused on helping farmers gain insights from their fields through advanced technologies. He holds a Bachelor of Arts in physics from Colby College and a Doctor of Philosophy in astronomy from Yale University.